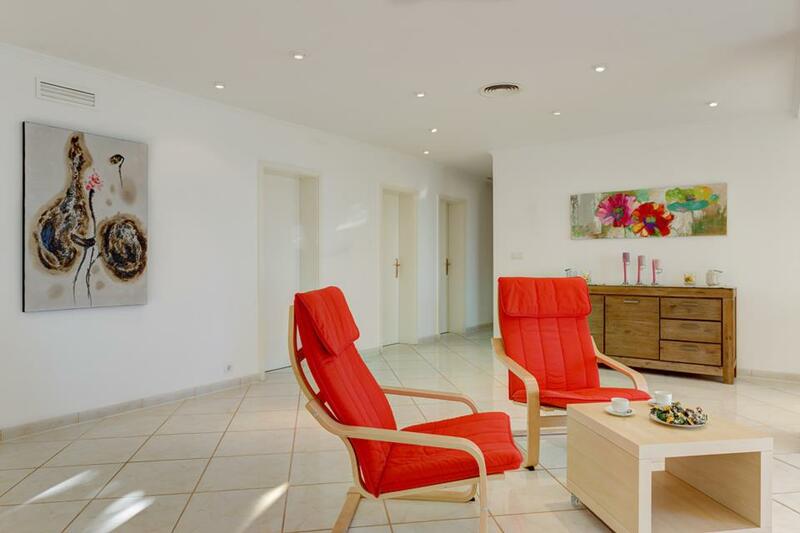 Villa Casablanca is a wonderfully stylish and contemporary designed villa, which is beautifully and tastefully furnished throughout. 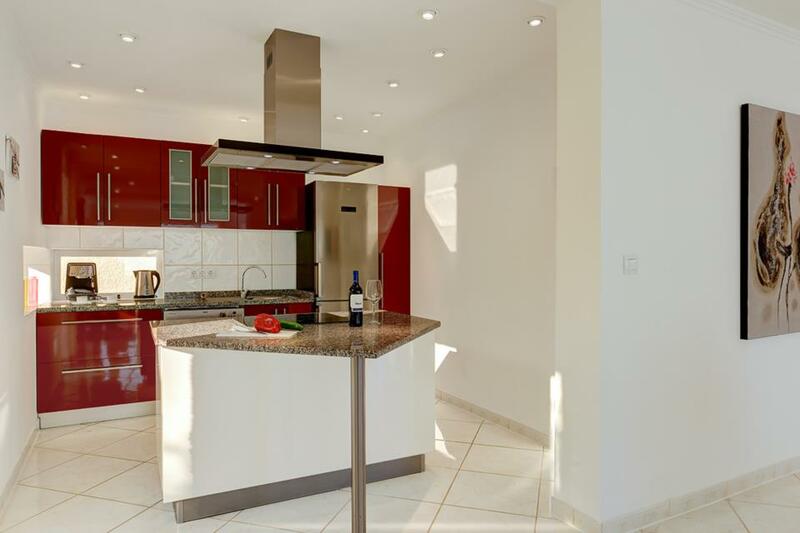 Villa Casablanca is a wonderfully stylish and contemporary designed villa, which is beautifully and tastefully furnished throughout. 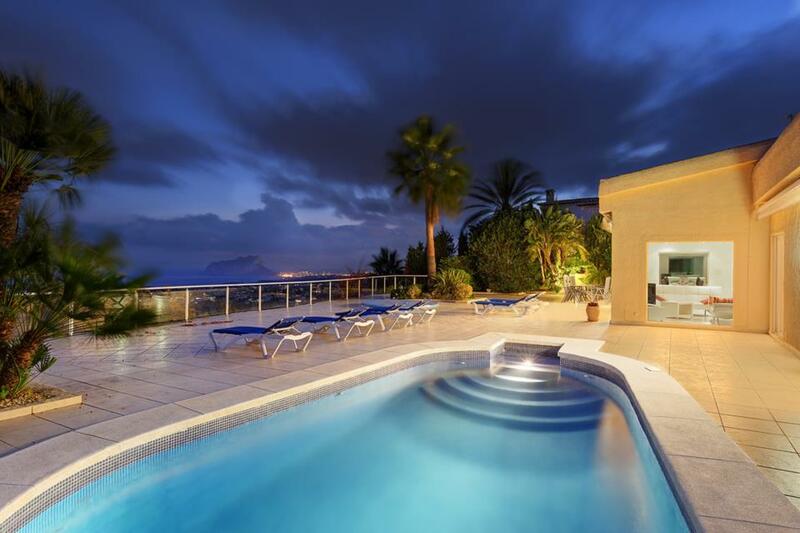 Set in an elevated location, offering a panoramic vista from Moraira to the east over to Calpe in the west, this really is one of the most striking villas we have visited in Moraira. 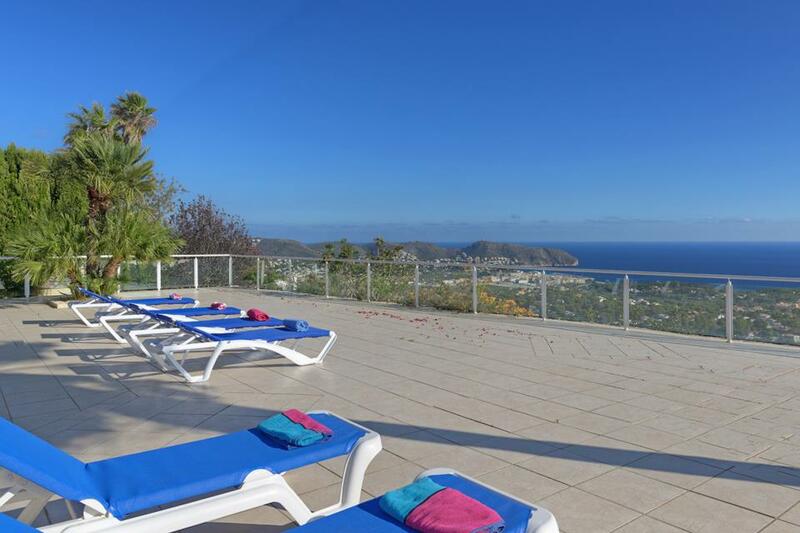 A few minutes’ drive (2km) from Villa Casablanca will bring you to the village of Moraira, where you will find a good selection of shops, minimarkets and local restaurants. 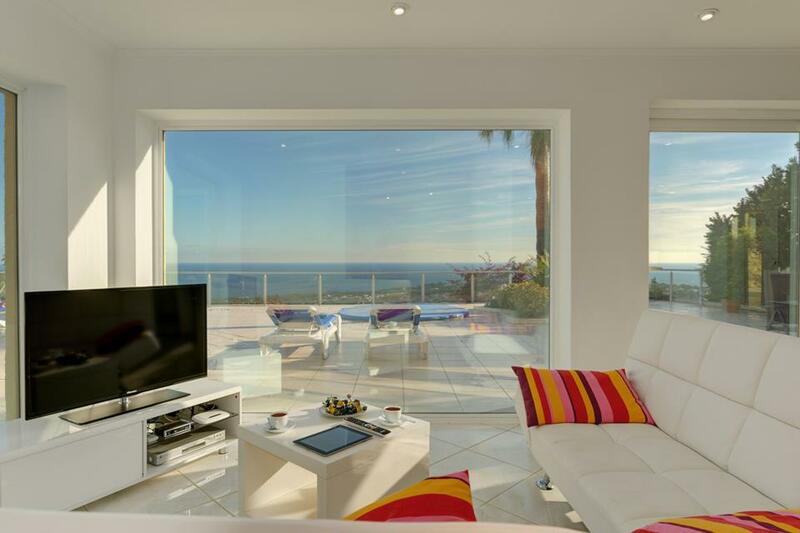 The open plan living space benefits from floor to ceiling glass windows and sliding doors, creating a magnificent feeling of space and of course, showcasing the astonishingly beautiful outlook. 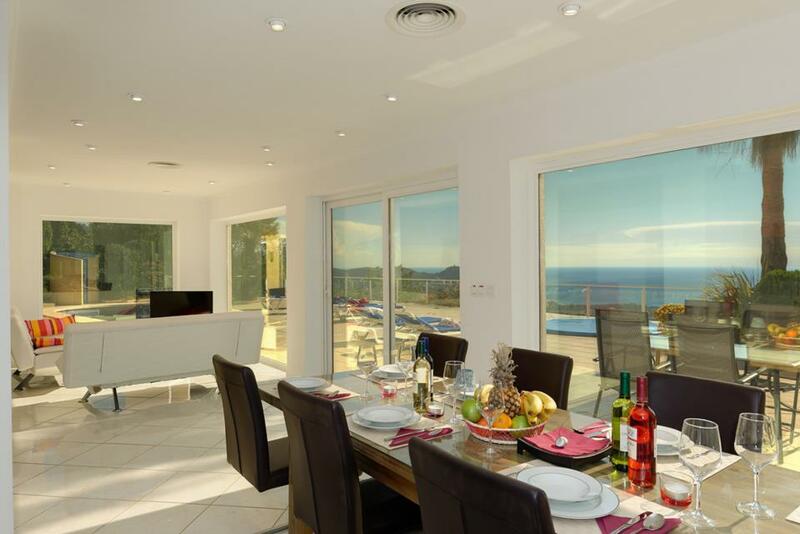 The Benissa coastline conceals numerous delights for those who wish to explore its delightful environs, with Moraira, Calpe and Fustera particularly delightful places to visit. 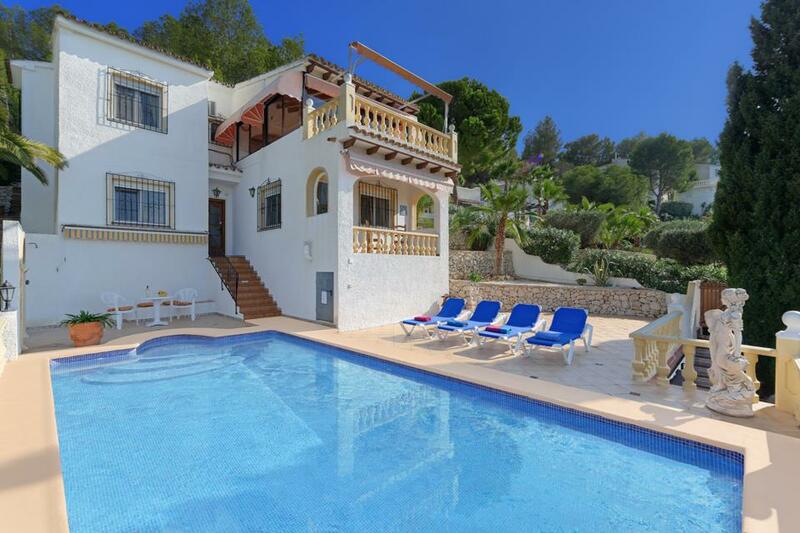 The lively village of Moraira with its extensive selection of restaurants and shops is less than a 5 minute drive away to the east; with the equally popular resorts of Benissa and Calpe less than a 15 minute drive to the west. 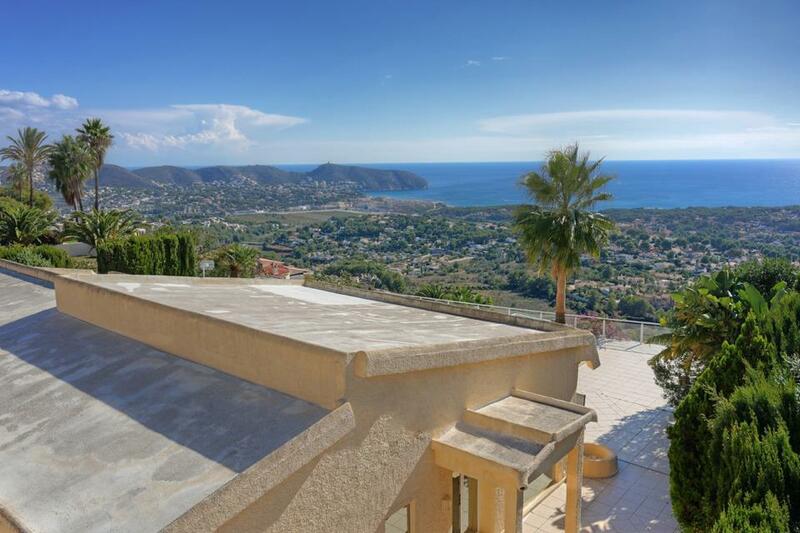 Beautiful villa with the most amazing view. Spacious, inside and out. 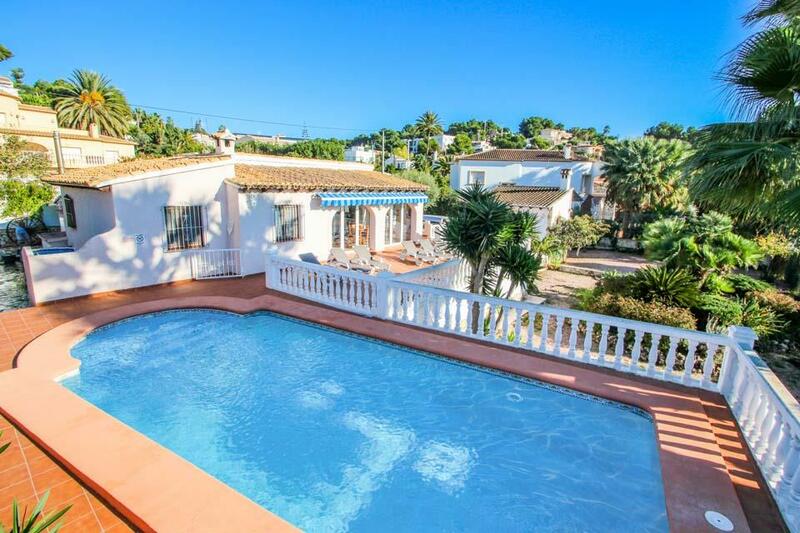 Moraira town has a lovely traditional feel to it with plenty of shops and restaurants to chose from. Great taxi service to and from the villa costing approximately 10 euros each way. 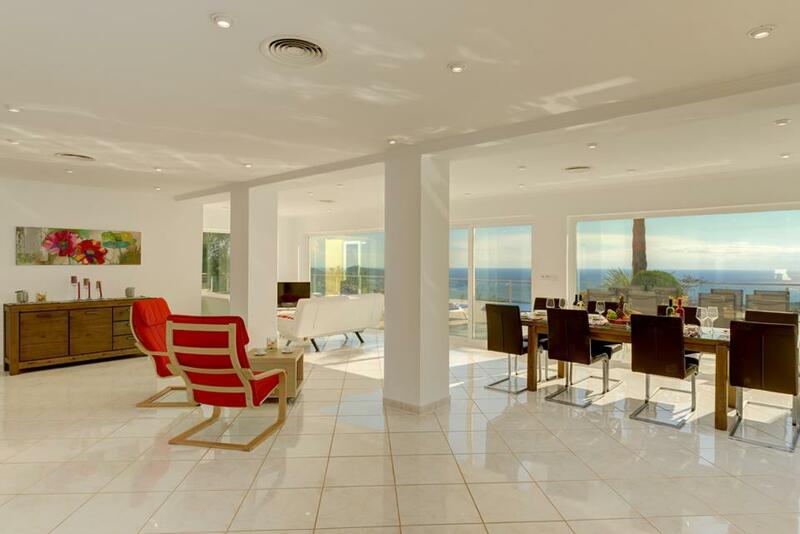 A very lovely modern villa with fantastic views and a large pool and deck area. 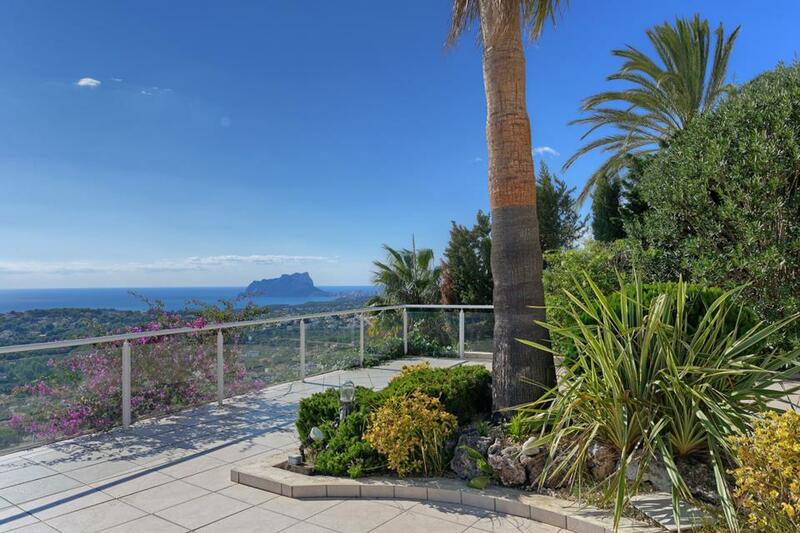 Close to Moraira and Calpe both of which have great beaches and lots of restaurants.The only reason I have marked down the location is because it is hard to find. We arrived at night which made following the instructions more difficult. The villa had an amazing view a lovely patio and was very pleasantly decorated. 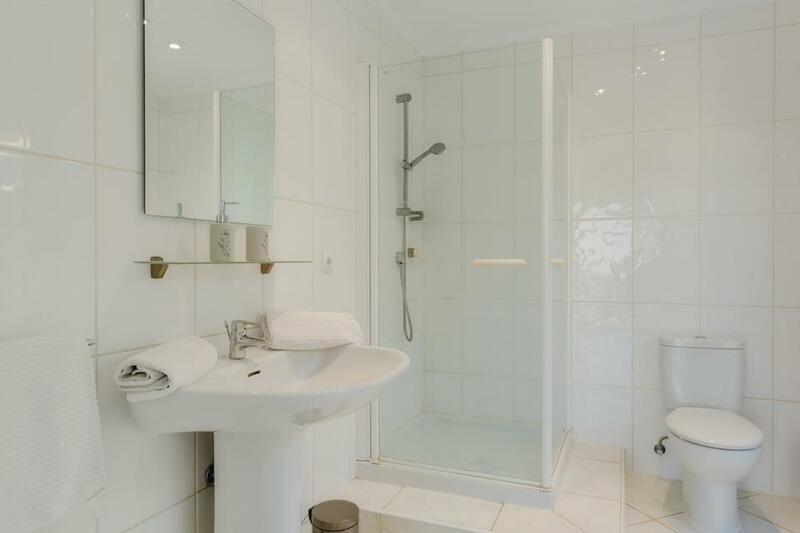 We found the villa was quite difficult to find but after a few days it was relatively easy, however it is situated down a side road which is quite steep, the approach roads are also quite narrow and steep in places therefore a decent hire car is necessary. A map would be useful. We were amazed at the view from the pool area when we arrived, it is spectacular. 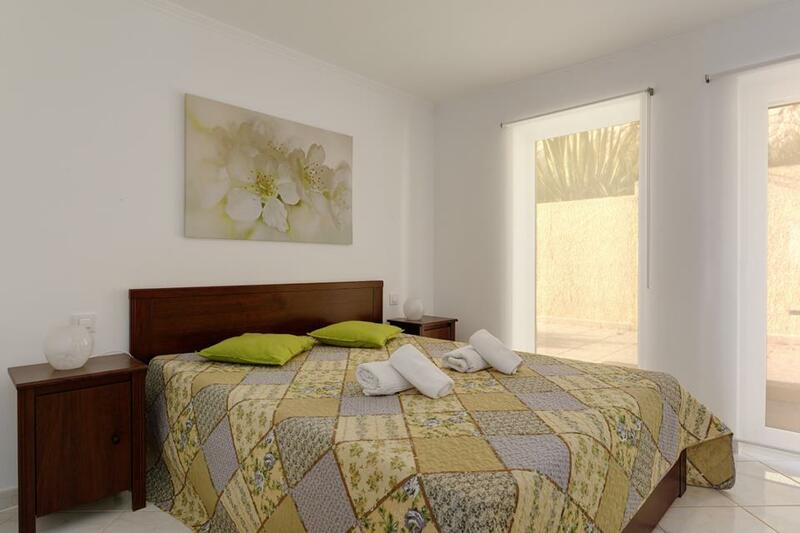 The villa is very contemporary in design, clean and comfortable. 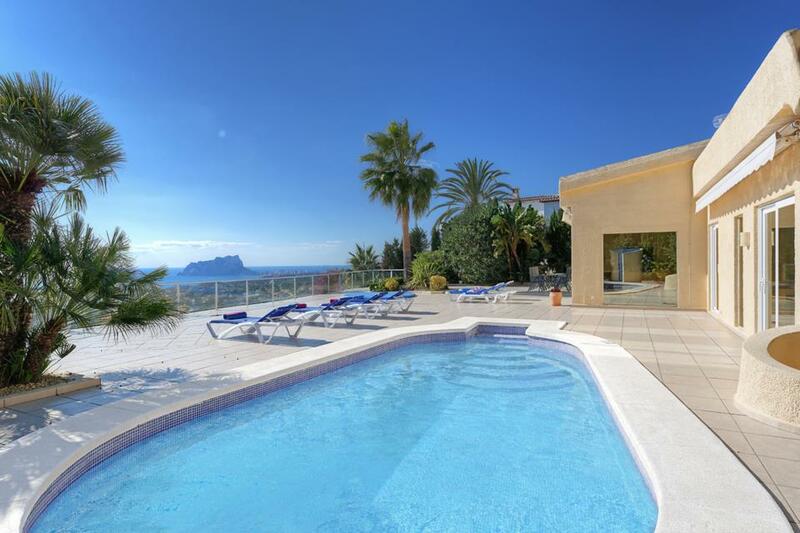 The large terrace overlooks the bay from Moraira to Calpe. Rated: Excellent. 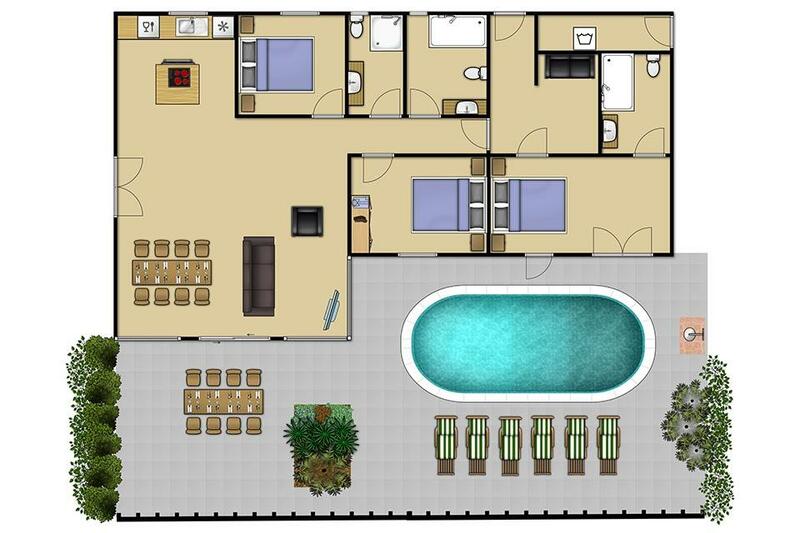 The villa is beautiful and spacious. 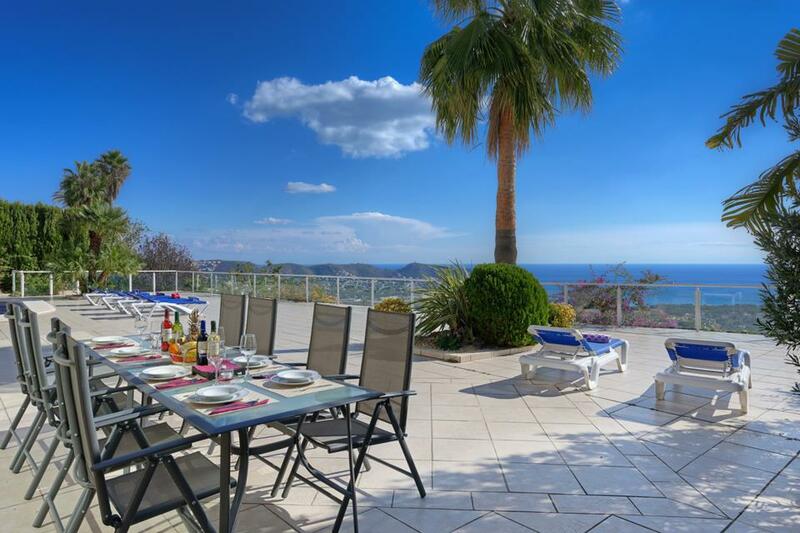 The views from the terrace are outstanding. 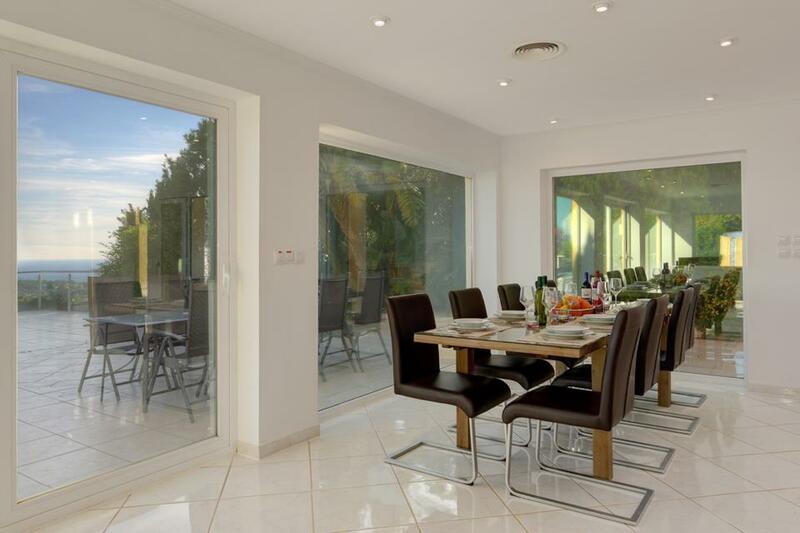 The awnings that run along the back of the villa offer plenty of shade and the floor to ceiling glass windows all along the back allow you to enjoy the views from inside the villa. It really is in a spectacular position. The pool is quite small and maybe not for those who wish to exercise in but it suited us and was a welcome relief from the midday sun. It's not really possible to walk to Moraira, a car is a must. However, there is a supermarket not far on Calle Mostoles next to a very good Chinese restaurant, Asia Ye which also offers take-aways. By far the best restaurant in Moraira is La Serenna, a classy place with excellent food (and a chateaubriand that you cook yourself on a hot stone!) Another recommendation would be Restaurante Ca Pepe. 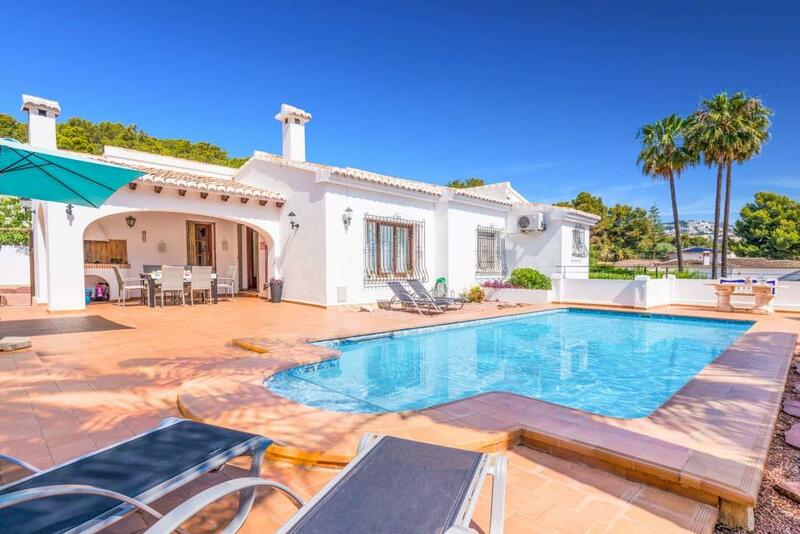 If you want a relaxing holiday in a beautiful villa, this is the place for you. Be prepared to drive though as there's no easy walking access to the local villages/shops.